29 January / Tartu is welcoming the Year of the Pig with the unveiling of an ice sculpture and a get-together on Town Hall Square on 5 February at 7 p.m.
Vahur Afanasjev, the newly appointed writer laureate for Tartu, will be welcoming people at the ceremony marking the arrival of the new Oriental year and the unveiling of the ice sculpture. Reigo Ahven and Heleriin Uib will be performing on Japanese taiko drums. By that time the ice pig created by sculptor Tiiu Kirsipuu will of course have arrived at Town Hall Square. The traditional Dragon and Lion Dance and fireworks will thank the past year and to help ward off evil. Ginger tea and fortune cookies will be offered. 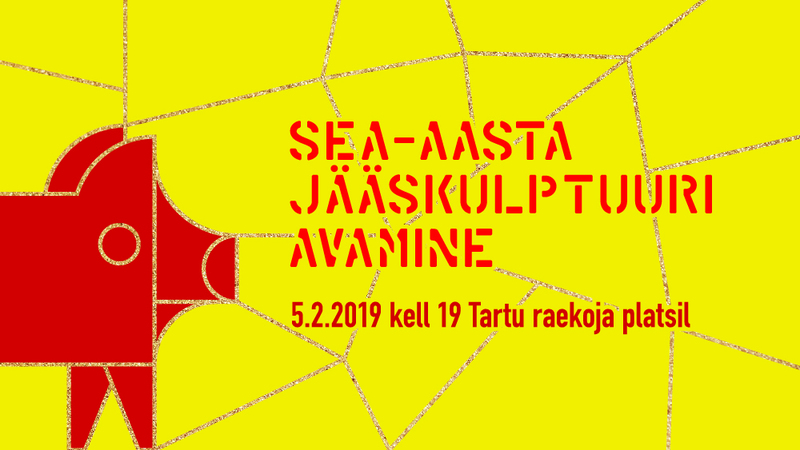 Many celebrations, festivals and other events will be celebrated during the Year of the Earth Pig (including Tartu Song Festival 2019!). The coming year favours personal relationships, get-togethers with loved ones, getting married and spending time with family. In China, the pig is considered to be the happiest of the animal zodiac signs, as everyone wants to be their friend. Bring your friends and see you on Town Hall Square on 5 February!